National requirements for professional entry into the practice of art therapy include, at minimum, a master’s degree and extensive post-graduate clinical experience under the supervision of credentialed art therapists—a process which typically requires a minimum of four years. Some art therapists also have a doctorate degree. Because of the uniqueness of the study and practice of art therapy, practitioners must be trained within approved art therapy master’s degree programs recognized by the American Art Therapy Association (AATA). Through the Educational Program Approval Board (EPAB), the Association has approved thirty-nine art therapy master’s degree programs at thirty-five accredited colleges and universities in twenty states and the District of Columbia. Art therapy master’s level education requires a minimum of 60 semester credit hours of graduate level coursework that includes training in studio art (drawing, painting, sculpture, etc. ), the creative process, psychological development, group therapy, art therapy assessment, psychodiagnostics, research methods, and multicultural diversity competence. Students must also complete 100 hours of supervised practicum, and 600 hours of supervised art therapy clinical internship. 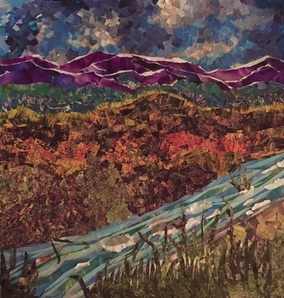 The art therapy graduate curriculum is uniquely guided by the premise that focused art-making constitutes reflective practice and facilitates learning. ATR-BC: What do these Credentials mean? Psychology Today.com: So You Want to be an Art Therapist, Part Two: Art Therapy Education, The good, the bad and the "challenging" of art therapy education.